Cuauhtémoc is a tall ship from Mexico. On the last day of the tall ships festival, they had the most amazing and delightful exit. 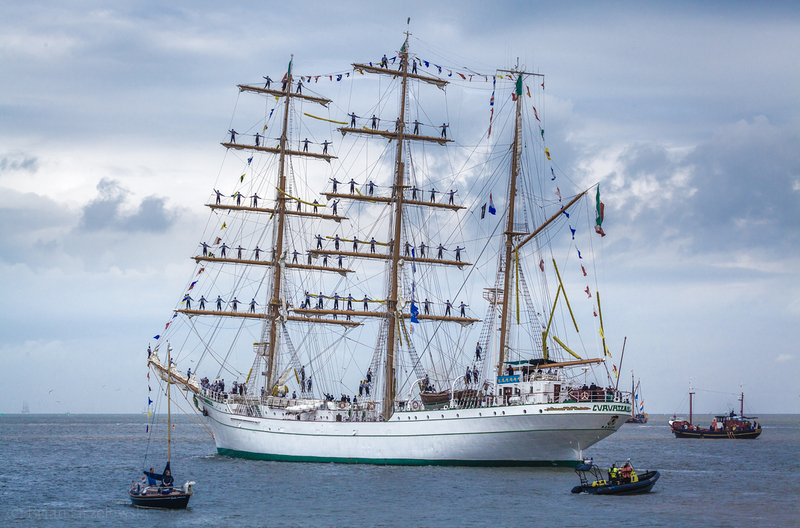 As one of the biggest tall ships in the festival, it would be impressive just watching it sail. 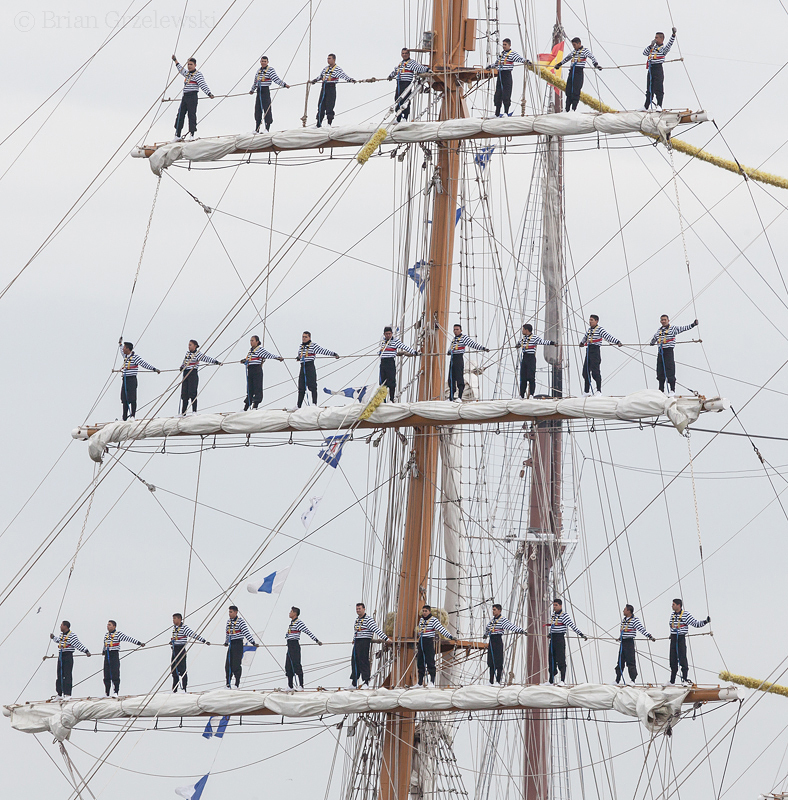 But, they perched the crew on top of the masts. And they were singing a happy farewell song to the crowd. The crowd was wide-eyed and smiling. They stayed up on those masts for as long as I could see the ship in the distance.